Israel Baeza, of Pettis County, was appointed as the Pettis County Eastern District Commissioner. Baeza works for Pettis County as an Election Clerk and as an assistant soccer coach for both State Fair Community College and Sacred Heart High School. He serves the community in various organizations such as Citizens Against Spouse Abuse, the Paul Clover Soccer Association, and the Hispanic Baptist Confraternity of Missouri. Baeza is also a member of the First Hispanic Baptist Church of Sedalia, where he serves as a Youth and Worship Team Leader. Raymond Bailey, of St. Charles, was reappointed to the Seismic Safety Commission. Bailey is the Construction Services Manager at ABNA Engineering, Inc. and an adjunct professor at Lindenwood University. He was a military officer with the U.S. Army Corps of Engineers from 1977-1992. Bailey earned his Bachelor of Science in Geological Engineering from Colorado School of Mines, and his Master of Science in Geological Engineering and his Ph.D. in Geological Engineering from the University of Missouri-Rolla. He is a member of American Society of Civil Engineers and the American Institute of Professional Geologists. Ronald Leckbee, of Knox County, was appointed as the Knox County Eastern District Commissioner. Leckbee is an HVAC Technician at Frank’s Appliance. He was formally a General Manager at his family’s trucking company, L&S Trucking/L&S Repair. Leckbee is a lifelong county resident and is a 2007 graduate of Knox County High School. Joel Evans, of Portageville, was reappointed to the Seismic Safety Commission. Evans is the President and CEO of Delta Area Economic Opportunity Corporation in Portageville. Before becoming President and CEO, he was a County Developer and Emergency Management Director for Scott County and a District Safety Coordinator for Scott County R-IV School District. He has his Bachelor of Science in Business Administration. Bob Nance, of Excelsior Springs, was appointed to the Clay County Board of Election Commissioners. Nance is a former Missouri State Representative for the 36th District, representing parts of Ray and Clay County. Nance is currently the Executive Director for Ideal Industries in Richmond and is formerly the Executive Director for Excelsior Springs Chamber of Commerce. He also served on the Clay County Senior Services Board. Blake Sherer, of Kansas City, was appointed to the Clay County Board of Election Commissioners. Sherer is the Assistant Prosecuting Attorney for Platte County, where he has been awarded outstanding trial advocacy and best new trial team member. 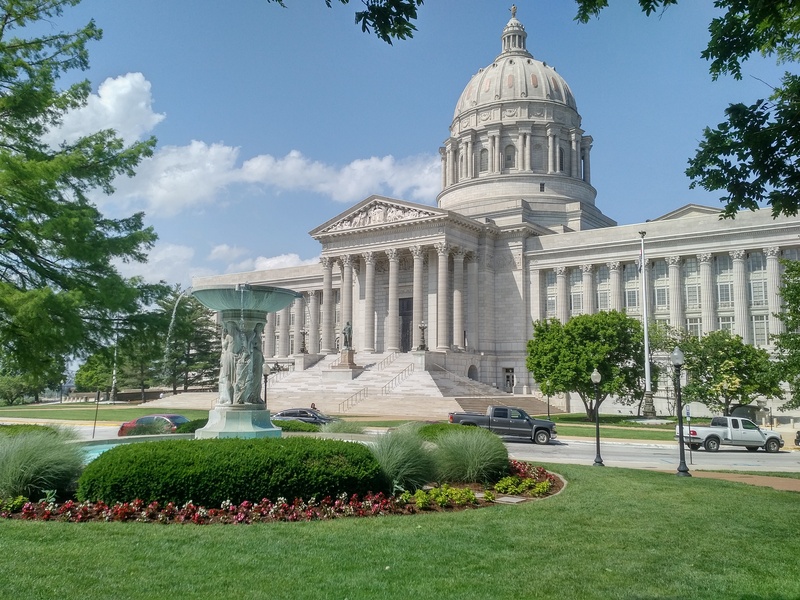 Sherer has a Bachelor of Arts in Political Science with a Minor in History from the University of Alabama, a Master of Arts in History from the University of Nevada-Las Vegas, and a Juris Doctor from the University of Missouri- Kansas City. He is a member of the Kansas City Metropolitan Bar Association, Platte County Bar Association, and Missouri Association of Prosecuting Attorneys. Daryl Sorrell, of Poplar Bluff, was reappointed to the Seismic Safety Commission. Sorrell is currently the General Manager of M & A Electric Power Cooperative. Sorrell has over twenty years of financial experience. He earned his Bachelor of Science in Accounting from Missouri State University and also has his Certified Public Accountant Certificate. Sorrell was recently elected as Vice-Chair of the Seismic Safety Commission, which he has been a member of since 2016. Craig Stevenson, of Hallsville, was appointed to the Missouri State Foster Care and Adoption Board. Stevenson is the Director of Policy and Advocacy for Kids Win Missouri, which is a coalition of organizations and individuals advocating for policies that support the health, education, safety and development of children and families. He has his Bachelor of Arts and Master of Public Affairs from the University of Missouri-Columbia. He is also a school board member for Hallsville R-IV Public School District, a licensed foster parent for Boone County, and a provisionally approved pastor for United Methodist Church.